By Natalie Zmuda . Published on September 02, 2013. Ask just about anyone in marketing to name a brand they admire, and you'll inevitably hear about Red Bull. The 26-year-old energy drink, created by Austrian entrepreneur Dietrich Mateschitz, is a force not only in the beverage category, but in adland. Its high-profile stunts, sports-team ownerships and Red Bull Records label have made the brand a household name and serve as a powerful form of marketing. And as the brand's latest -- and greatest -- stunt proves, Red Bull's signature brand of marketing does plenty to pump up sales. Dubbed "the mission to the edge of space," it featured Felix Baumgartner making a freefall jump from 24 miles above the earth last October. The jump broke five records, according to officials at Guinness World Records, and Mr. Baumgartner became the first human to break the sound barrier without engine power. Arun Hozack, VP-marketing at Red Bull North America, said the event, called Stratos, was a natural outgrowth of the company's strategy. "Personal interactions, athlete sponsorship, event participation and word-of-mouth has always been a part of our DNA," he said. Social media in recent years is a natural evolution of our strategy and has amplified our engagement." The brand was an early adopter of Facebook, Twitter, Instagram and YouTube, though paid media, including TV buys, remain a part of the mix. The brand spent $73 million on measured media in the U.S. last year alone, according to Kantar Media. Though Mr. Hozack stressed it was "a scientific project first and foremost," Mr. Baumgartner's feat captured consumers' attention the world over. 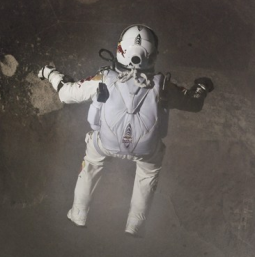 TV stations, news reports and journalists all referred to the event as "Red Bull Stratos" rather than shortening it to simply "Stratos," as is so often done with branded events. The event was carried on nearly 80 TV stations in 50 countries. The live webcast was distributed through 280 digital partners and racked up 52 million views, making it the most-watched live stream in history. Red Bull Media House, the brand's global media company, even earned a Sports Emmy for "Outstanding New Approaches -- Sports Event Coverage" earlier this year. Footage was featured in an ad campaign that kicked off in January. And this October, on the anniversary of the jump, Red Bull will release a documentary showing moments no one has seen before, Mr. Hozack said. Stratos undoubtedly raised Red Bull's profileas the brand looks to expand in core markets like Western Europe and the U.S., as well as newer targets such as Brazil, Japan, India and South Korea. It also raised sales. In the six months immediately following Stratos, sales rose 7% to $1.6 billion in the U.S., according to research firm IRI. According to the private company, it sold 5.2 billion cans worldwide last year, a 13% increase over the year prior. In the U.S., sales jumped 17%, while markets as varied as South Africa, Japan, Saudi Arabia, France and Germany also saw double-digit sales gains. And for its next feat, Red Bull earlier this year started rolling out globally Red Bull Editions, the brand's first foray into new flavors, including cranberry, blueberry and lime.